Porcelain veneers are an effective treatment to conceal a wide range of tooth flaws. Chips? Cracks? Gaps? Discoloration? Misalignment? Porcelain veneers can cover these flaws and are designed to improve your teeth’s appearance. But do veneers last long enough to maintain your beautiful smile? If so, what are the maintenance steps necessary to keep porcelain veneers in good condition? One of the leading dentists in Maryville, TN, Dr. Kim C. Norman, discusses porcelain veneer maintenance and keeping your teeth and gums healthy. With optimum oral health, tooth decay, gum disease and many other dental problems are prevented. This essentially gives your porcelain veneers a healthy and stable foundation. Here’s what you should do to achieve and maintain optimum oral health. Brush after meals or at least 3 times a day. Take oral prophylaxis (deep cleaning treatments) every six months. Eat the right kind of foods to nourish your body with nutrients, vitamins and minerals. Did you know that porcelain veneers can last for 20 years or even more? Treat your porcelain veneers like real teeth, to keep them strong and healthy. 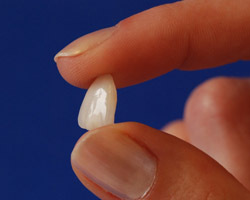 Porcelain veneers are stain-resistant. However, it is best to avoid stain-causing foods and drinks. Dishes with rich and colored sauces like spaghetti, chicken curry and soy chicken can stain the teeth, as well as drinks like coffee, tea and red wine. While veneers won’t stain easily, it would be best to take these foods and drinks at a minimum. The tooth stains may become permanent when not removed after a while. If you are unable to brush your teeth after eating, Dr. Norman advises you to drink water or swish water around your mouth, to remove stains that may have stuck to your teeth. He also advises you to choose the lesser evil. For instance, if you really love tea, choose white tea over black tea. Choose the drink that stains less in order to preserve the color of your veneers. A mouth guard serves to protect your teeth from potential trauma and from the extreme pressure of bruxism (teeth grinding). It is a highly recommended oral appliance if you regularly engage in sports that involve physical contact or risky activities like ice skating and gymnastics. The mouth guard protects your mouth from injuries and also protects your veneers from getting damaged. Some people have this habit of biting their fingernails and using their teeth as a manipulative tool. These habits place your veneers at high risk of chipping and cracking. If you want your porcelain veneers to last long, refrain from chewing and biting hard objects or using your teeth as a tool. Always consider the texture of the object you are about to bite. The basic rule of thumb here is – if it’s not food, don’t bite it.